Pia Tasior is a human resources “Good Karma” officer. 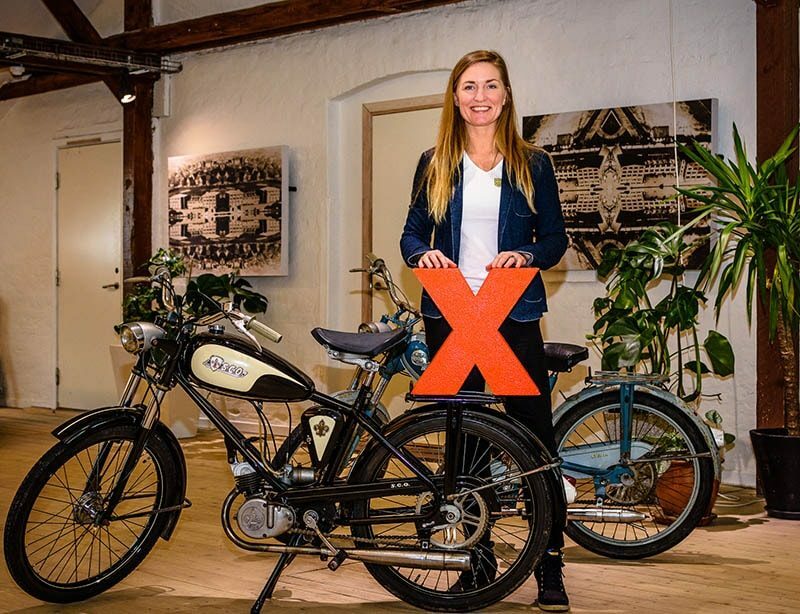 In 2017, Pia gave a TEDxOdense talk about her award winning workplace - and about how to go from management to freedom. One year after your TEDxOdense talk - where are you now? I have since become 100% self-employed at my company Good Karma Officer. Being self-employed is quite new to me, but what I’m applying in my work are old thoughts and old theories of mine. My journey started several years ago when I laid the plans for how I would help bring purpose to businesses. I’ve gained a lot of experience along the way. I’ve even won an award for Denmark’s best workplace! With my new business I’m applying all this knowledge I’ve gained in order to develop an education which takes employees on a journey to become ambassadors for their workplace. Just like you can be a CEO or CFO, these individuals become GKOs, Good Karma Officers! The goal of a TED talk is to spread an idea, and your idea has certainly spread - what do you think is the next step? In my TEDxOdense talk I showed my magic “try-angle”, well, I want to take this idea further. I want to get nerdy and use data to really apply the idea where it’s useful. I want to help people calculate how close or far away they are from their purpose. Really, this is something we need to calculate every day because we, as humans, are always moving. I’m even planning to make an app for it! What kind of feedback did you get after your TEDxOdense talk? Great! It was amazing, the hype lasted about 6 months actually. Since my talk, I’ve received so many emails and LinkedIn connections. I think this has helped me in my journey to self-employment, but it’s not enough on its own, you have to keep building connections every day and spread your message wherever you go in order to really make a difference. The feedback I got from my TEDxOdense talk gave me a boost of confidence, enabling me to speak the truth that I believe in. Walking out onto the stage at Odense theater was overwhelming - it’s huge! When I stood there in front of the crowd it was like a wave washed over me. I was so nervous happy and proud at the same time, standing there in the silence of hundreds of people waiting for me to speak. The audience felt very close to me. I could feel them there, hear them breathing. It was heart work - like hard work, but it really came from the heart. Adam Montandon, TEDxOdense speaker coach, was so great at preparing me for my talk, he helped me to see myself in the third person and building my pitch. What was your favourite thing about TEDxOdense last year? The people: the speakers, the crew and the audience. Everyone at the event had such a great energy – really driven by their passion. It made me feel like a part of something bigger than myself, so I worked extra hard to do a good job. This year’s event theme is “My Other Side”. What is your other side - the one people rarely think about or might not even know about? One of my other sides is that I’m curious about spirituality. I like to learn about different spiritual practices and take inspiration from these many paths to finding purpose and well-being. That’s all for now and we hope to see you at Odense Theater on April 14th for TEDxOdense 2018!